will soon be treated to the opportunity to see the latest film by international directing superstar, Asghar Farhadi, whose “The Salesman” opens here on January 17, 2017. Farhadi’s films have repeatedly won big prizes at Cannes and Berlin, and are huge international hits. Indeed, “The Salesman” (2016), won Best Screenplay and Best Actor at this year’s Cannes. As Farhadi himself says, his films are always about the “complexity of human relations, especially within a family…[who]... find themselves in a situation that reveals unexpected aspects of their personalities”. His screenplay- and actor-driven films look so naturalistic that they have been accused by detractors of not being cinematic. But in “The Salesman”, Farhadi peels back the curtain on his directing, so that we can be in no doubt as to the extraordinary sophistication of the artifice that he commands. The first shot is an unmade double bed in a bedroom. We are in familiar Farhadi territory: the ordinary life of an ordinary couple. The shot fades to black and we hear the sound of something mechanical: a train? We fade in: a single theater spotlight. The bamboo frame of a cart enters under the light. A man, whom we can barely see, stops the cart and moves behind the light to reposition it. The third shot is of a living room, lit by the spotlight that moves across the chair and the sofa, and we now realize that we are not looking at the “real” home of realistic protagonists, but at a theater set. A confession: I have a great love for films about making films or theater. I love how a director weaves a film or play into the actual telling of the story. Personal favorites include Mel Brooks’ “The Producers” (1967), François Truffaut’s “Day for Night” (1973), Alejandro Iñarritu’s “Bird Man” (2014), and Quentin Tarantino’s “Inglourious Basterds” (2009), but there are many, many more. These meta-narratives force us to confront the movie as a fiction while at the same time identifying with the ‘reality’ of the characters. In “The Salesman”, Farhadi’s leads, Shahab Hosseini and Tareneh Alidoosti, both seasoned Iranian stars, play a couple deeply involved in theater. We also see them in their roles as a middle-class man and wife living in contemporary Tehran. The earth beneath them is shaken with such force by the machines of 21st century progress—the next door building is being demolished, that their apartment building becomes dangerously uninhabitable. Simultaneously, they playing Willy and Linda Loman in Arthur Miller’s “Death of Salesman” (1952), an American play depicting progress destroying individuals and families. 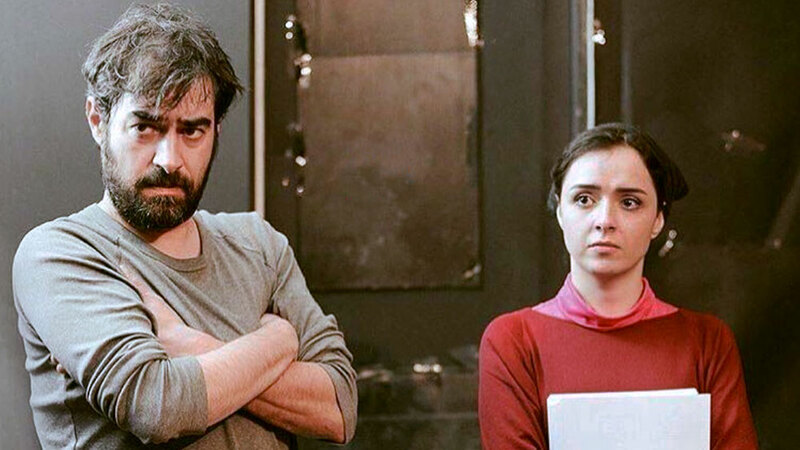 By the same token, how does Farhadi—as well as the actors and crew that collaborate frequently on his films—manage to live, work and speak so openly under a regime as repressive as that in power in Iran? 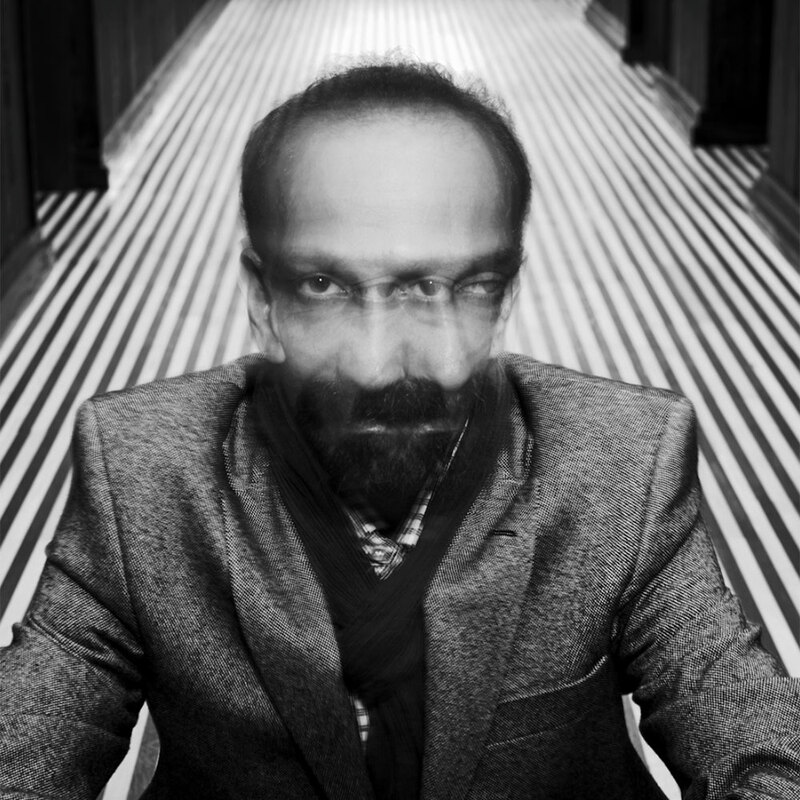 The curious fact that Farhadi thrives as an Iranian television and film artist, and gets his work past the censors, is debated around the world. Indeed, Farhadi’s films are so accepted by the Iranian establishment that “The Salesman” was Iran’s 2016 Oscar nominee. What I experience in watching his films is that what seems ordinary and small on the surface, is extraordinarily deep and powerful, even when spoken quietly. Like other artists working within the constraints of censorship and repression, he explores that which is apparently uncontroversial on the surface, letting images and silences speak all the more loudly. In one scene, at the end of a night of “Death of a Salesman” rehearsals, Alidoosti, who plays Rana, brings a message to Hosseini’s Emad that the censors are coming. The first “unexpected aspect” is that the happiness and fulfillment of their lives seems to be based on a lack of intimacy which we had simply not been aware of before. A gulf opens up between them that we can only assume was there all along, revealing a weakness in the relationship that cannot withstand the catastrophic upheaval that Rana experiences and that her husband keeps failing to understand. Like the massive diggers that are damaging the foundations of their apartment building, this unexpected incident reveals cracks both in their relationship and their individual personalities. Each time we expect social commentary, we see instead the complexity of religious boundaries. And just when we think we’re going to get a grasp on what those religious constraints are, we’re off into that complexity of human relations, where one person seeks revenge and another chooses mercy. The social commentary, the iron fist of the censors, the shame brought by religion or exposure or financial failure, all add up to show that human beings can never be understood in a two-dimensional way—even though theater and film constantly make that attempt. When we become apprehensive about the danger of the censors, we are distracted from the actual experience Rana has. And yet, what is more real? Censors or “real” life-changing events we have no control over? Asghar Farhadi’s “The Salesman” (2016) opens in the Bay Area on January 27th, 2017. “The Salesman” (in Persian: فروشنده‎‎ or Forushande) is a 2016 Iranian-French drama produced by Alexandre Mallet-Guy’s Memento Films, in turn, in co-production with Arte France Cinema and in association with the Doha Film Institute. It was included in Competition at the 2016 Cannes Film Festival. At Cannes, Shahab Hosseini won the award for Best Actor and Asghar Farhadi won the award for Best Screenplay. In the Chicago International Film Festival, it took the Silver Hugo Special Jury Prize, as well as the Critics Choice Awards for Best Foreign Language Film. The film was selected as the Iranian submission for the Best Foreign Language Film for the 89th Academy Awards, which will take place in 2017. Joanne Butcher is an Executive Coach to independent filmmakers who make films that change the world AND make money. Contact her here.